Is diaphragmatic breathing difficult? The Singingbelt makes singing from the diaphragm easy to learn. Singing begins and ends with the breath. 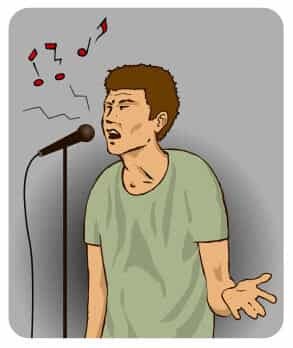 Only a small amount of air is needed to vibrate the vocal cords and actually sing. It is all the air underneath it that is used to support the voice. 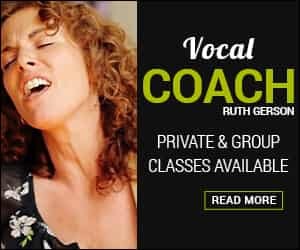 Understanding breath support is the key to becoming a better singer – and learning how to keep the air in your lungs where you need it. Using the diaphragm to support the voice is the most important and often most confusing component of vocal technique. The diaphragm is responsible for drawing air in and out of the body. As it flattens, air is drawn into the lungs – and we breathe in. As the diaphragm releases into a dome shape, air is released – and we breathe out. 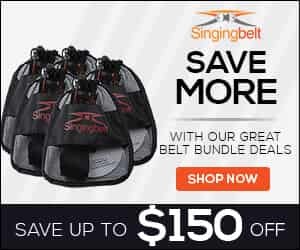 The Singingbelt shows you how to maintain the diaphragm in a comfortably flattened position, resisting the release, so you don’t breathe out the air needed to unlock power, sustain, develop better tone, pitch and endurance. Singers can see, hear and feel how to control the diaphragm, by the relative firmness or slack of the belts. 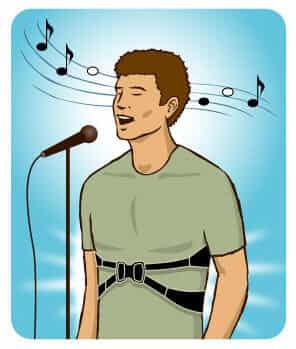 The Singingbelt adjusts and fits to each individual body, sitting mid to lowest rib, without constricting the abdominal wall, so that all the lower core muscles can be expanded and used together, providing the foundation to effortless singing.